Nobody likes to be disrespected. It is not a nice feeling when somebody does not show you basic respect. On the flipside, do you sometimes disrespect other people? Do you have the awareness of self to know when you may not be treating people with respect? 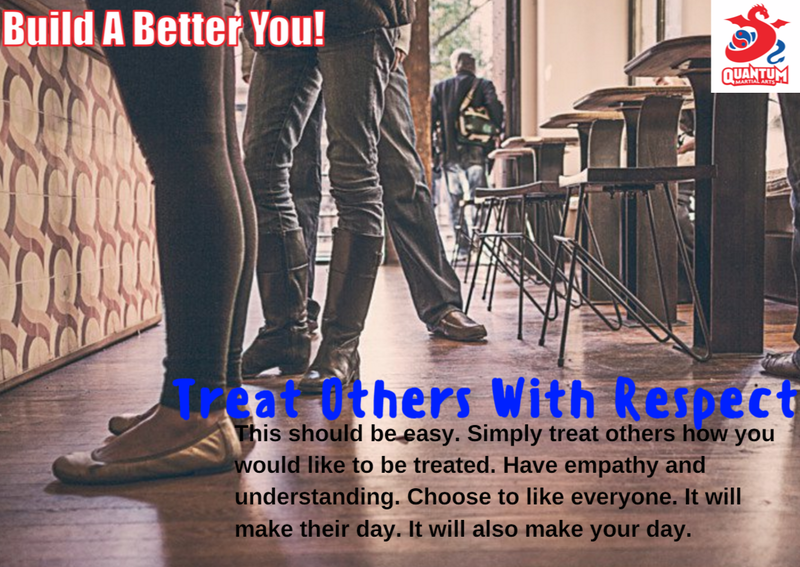 Treating other people with respect should be really, really easy. All you have to do is treat others the way you would like to be treated. You will be happier, they will be happier, and the community as a whole will be happier. It really is a win-win. Australia is a nation made up of many different people, languages, cultures, race and backgrounds. Sometimes, even more important than this, it is made up of people with different personality types. This should be a good thing, as it would be pretty boring if we all the same and acted the same. However, it is only a good thing if we can all treat each other with respect. Otherwise, we become a community that is intolerant, abusive and even bullying. This should not be acceptable, as we all have a right to live our lives in peace and happiness. Respect for others can only come when you have respect for yourself. It is often said that when you are upset with somebody, you are not really upset with them. Rather, there is something about yourself that you do not like and that other person may have reminded you of it. Treat yourself with kindness and respect. Do not downplay your thoughts and feelings at the expense of others. Look after yourself. Do not engage in self-destructive behaviours. Stay healthy and fit (did someone say martial arts?). Stand up for what you believe is right, without fear of repercussion of what others may think or say. And finally, chase the things that are really important in life to you. If you do not give life everything you have got, you are simply not respecting yourself (in my humble opinion, but I am not judging others ha ha). Include others – choose not to be rude to others. You do not have to best mates, but you do not have to disrespect people either. Ask somebody how their day is, give a handshake where you normally wouldn’t, give a family member a big hug, etc. It will make their day. It may even make your day. In martial arts, we aim to teach respect. Every time you bow in at the dojo door, or you bow to your training partner, you are showing respect for yourself, your classmates, the students / teachers who went before you, and even just respect for the space itself. It is a great way to constantly tap into the feeling of respect for others. Oh, and martial arts is not about demanding respect from others. Martial arts, like anything in life, has evolved over the centuries. As trainers, we know we will get nowhere if we are constantly demanding respect from others based on our belt colour or experience. The Black Belts / Trainers of today earn respect by helping others, sharing a kind word, or simply making students feel good about themselves. It is what a true role model does. Now, we are not naïve enough to think that a martial arts class is not daunting, especially to beginner students. That is why the Black Belts and the whole training team go out of our way to make sure the students are being treated with the care and respect that they (or anybody for that matter). If you can show respect for others in the dojo, you can do it in all areas of your life. 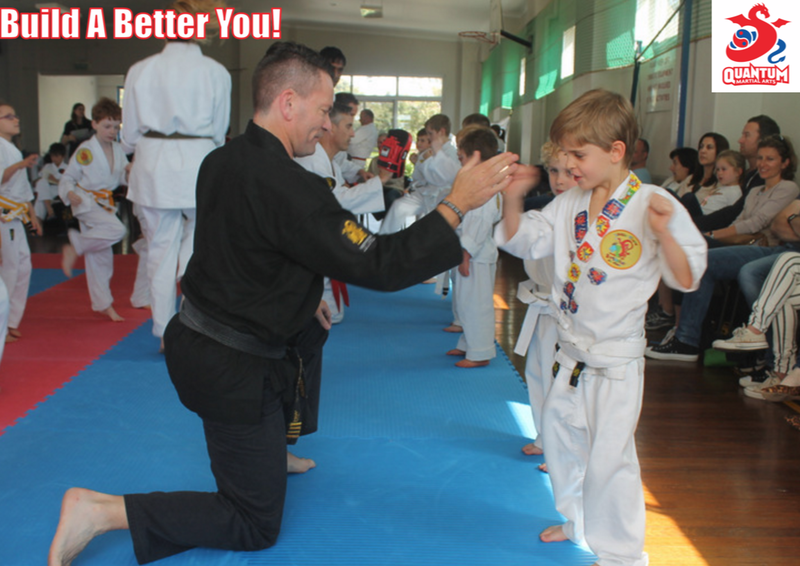 Better still, come in and do martial arts as a pathway to help you show respect for others. The happy one will be you.